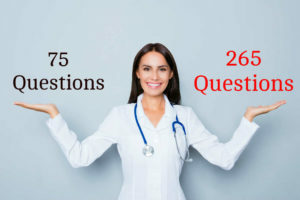 To be the “Leading Learning Center” that totally prepares Nursing Graduates to successfully hurdle and pass the NCLEX exams conducted by the US Nursing Council and eventually guide them as they earn their status as Registered Nurses in the USA. To enlighten, to train and to guide each reviewer in every aspect they need to successfully pass the NCLEX exam. Their mission is to assist nursing graduates in achieving their goal of becoming a licensed nurse. Their commitment is to conduct an intensive 60-80 hours refresher course that allows flexibility for personal & work commitments. Their goal is to maintain a 100% pass rate. Facets has become a learning resource center for NCLEX reviews both for RNs and VNs especially for aspiring foreign nurse graduates in the San Francisco Bay Area. Their name has flourished by word of mouth as we continue to assist foreign nurse graduates pass the NCLEX. • Foreign nurses who are interested to become a registered nurse in the U.S.
Enrollees have attended other leading review centers in the SF Bay area. They claim that our methodology in providing the theoretical and clinical knowledgebase most suit their needs, and within 3 weeks, they become RNs and/or licensed VNs. Graduates of foreign nursing schools are strongly advised to contact the corresponding board of nursing for eligibility requirements for California licensure. pls give me informations about this review center.how many days to review,how many hours per day,the fee to be paid.thnx.